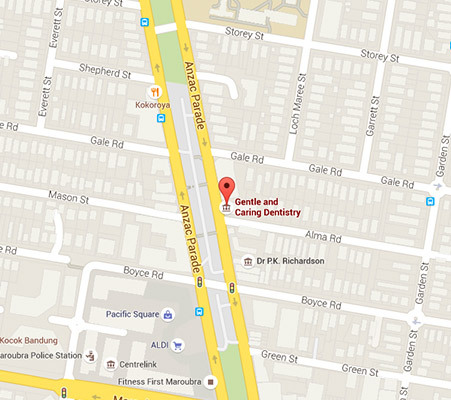 Many dental patients who visit our dental practice in Maroubra feel extremely anxious. Most of such patients are either new comers or are the ones who did not have a good experience with their previous dentist. The anxiety is mostly due to the fear of pain – the pain which would result from an injection used to deliver dental anaesthetic to numb the patient. At our dental clinic in Maroubra, we only use the best of equipment and allow the most gentle, caring and trained hands to touch your teeth and gums. The ‘Wand’ is a computer-assisted dental anaesthesia system. Dental anaesthesia is administered using this advanced system and our patients barely feel a thing. Its almost painless and a far cry from the dreaded dental syringe. ‘The Wand’ increases patient’s comfort, reduces stress and makes the treatment almost pain free. It is basically computer controlled delivery of local anesthesia. There is a very small needle and the delivery of anesthesia is controlled using a foot pedal. What makes the system almost painless is the slow and controlled delivery of anesthesia solution into the patients gums and also the size of the needle – which is very very small. At Gentle and Caring Dentistry, we believe in using only the latest and the best for our clients. For us our patients always come first.